As the year 2016 ends, Francesco Chicchi has announcd on Facebook that it's probably his last day as a professional rider. The rider who celebrated his 36th birthday a month ago was not retained by his team Androni Giocattoli - Sidermec. Chicchi has a habit of winning at least once a year (and even at least twice a year before 2016). 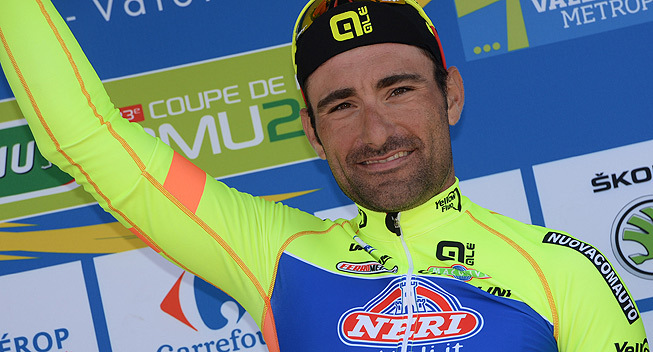 In 2016, he won the first stage of the Boucls de la Mayenne, one of the nineteen victories of the Italian team in 2016. If there is no miracle for him, he will join the long list of riders from Androni who are forced to retire at the end of this year due to lack of contract. Marco Bandiera, Tiziano Dall'Antonia, Alberto Nardin and Mirko Selvaggi have all given up and Giorgio Cecchinel and Davide Viganò have no new team either.